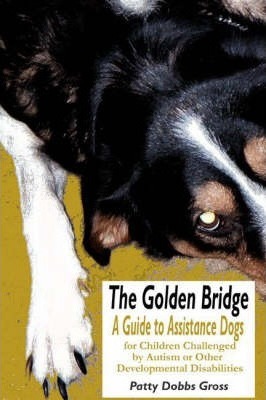 In ""The Golden Bridge"", Patty Dobbs Gross provides both personal and professional advice on how specially bred and trained dogs help to facilitate communication for children with autism and other developmental disabilities. This important information compendium is a guide for parents dealing with the social, emotional, and educational issues of raising children with challenges. Myths and labels concerning autism are explored, examined, and redefined. While focused on children, the advice that Gross shares will be immensely helpful for anyone involved in breeding, raising, and training dogs to mitigate any type of disability at any age. ""The Golden Bridge"" provides advice about living with autism, animal-assisted therapy and autism, training an assistance dog to work with a child with autism or a developmental disability, and using an assistance dog to deal with a child's grief. Patty Dobbs Gross, the Executive Director of The North Star Foundation, a nonprofit organization whose mission is to place high quality assistance dogs with children who face special challenges at an affordable price, is an approved service animal consultant. Patty earned her BA from the University of Massachusetts in Psychology and her Master's degree from the University of New Hampshire in writing; she is both a published author (Dancing in the Rain) as well as an award winning producer of television programs (""Northern Lights"" & ""Raising Your North Star"") that document the groundbreaking work being accomplished at North Star. Patty has compiled research on canine behavioral genetics, Animal-Assisted Therapy and children with autism.